This week, in Cottonwood, Alabama, in cooperation with local police, The HSUS rescued 65 dogs from a suspected "hog dog" breeding operation. As rescuers entered the property with law enforcement personnel, they were greeted by an appalling scene: starving, emaciated, severely underweight dogs and puppies, some chained to trees, others hiding in barrels or broken-down cars. The dogs are now at a temporary shelter where they are receiving medical care and enrichment. Once they are released by the courts, they will be evaluated for potential placement in homes. It didn't surprise us when law enforcement authorities also uncovered illegal drugs and firearms on the Cottonwood property, proving once again that operations that exploit animals often are tangled up with other illegal enterprises. Yesterday's rescue was the first we've conducted since a statute banning hog dog fighting passed in Alabama in 2005. The Cottonwood Police Department, which served a search warrant on the property, determined that the animals were in urgent need of care, and called us to assist with the rescue. "The cruelty these dogs were shown is painful to see, and we couldn't stand by and allow them to suffer," said Colonel Jim Smith, public safety director for the town of Cottonwood. "We are thankful that The Humane Society of the United States was able to assist on this case, and especially glad to see these dogs off to better lives." This is the latest in a series of successful collaborative efforts between authorities in Alabama and animal protection advocates to end animal cruelty and suffering in the state. In November 2014, George Beck, U.S. attorney for the Middle District of Alabama, prosecuted a ring of alleged dogfighters that stretched across four states, including Alabama, getting tough sentences for a number of the participants. 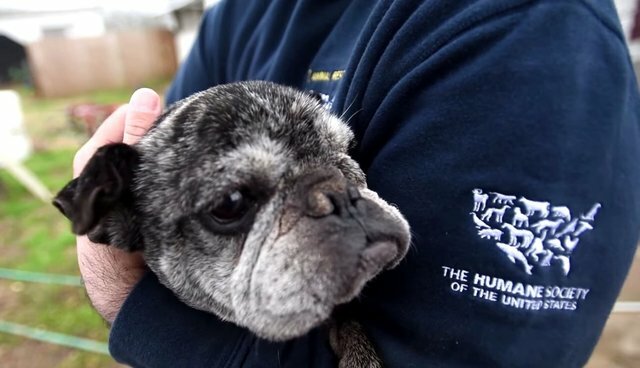 This was the second biggest dogfighting bust in U.S. history, and The HSUS has been caring for these dogs for more than a year, at an enormous expense to the organization. Local and county law enforcement were crucial players in breaking up this ring. In another raid not long ago, our rescue team joined Alabama Alcohol Beverage and Control Board investigators to close in on a suspected cockfighting ring in Andalusia while a fight was in progress, resulting in the arrest by authorities of six suspected cockfighters. Our team also recently assisted in the court-ordered removal of dogs from a Berry, Alabama, property; the rescue was part of an ongoing case we have been involved with since October 2013, after our help was requested by local law enforcement. In another encouraging development late last year, Alabama authorities cracked down on an international rhino killing scam that stretched from Alabama to South Africa. In that case, Beck charged the alleged perpetrators with selling illegal rhino hunts by misleading trophy hunters. The defendants allegedly failed to obtain the necessary permits required by South Africa, cut the horns off some of the rhinos with chainsaws and knives, and then sold the rhino horns on the black market here in the United States. All of this adds up to a surge in enforcement of state and federal laws against animal cruelty in Alabama. Collectively, it should send a signal that Alabama is not a place to conduct or abet illicit and cruel activities. It's great to see law enforcement officials treating these cases in a serious way and partnering with us to deliver dogs, birds, and other creatures from the evils of people who have no regard for their welfare or their lives. Join us in helping to rescue more animals like these.